The Google Playstore giving you an option to download and install millions of various mobile application for your all Android devices. 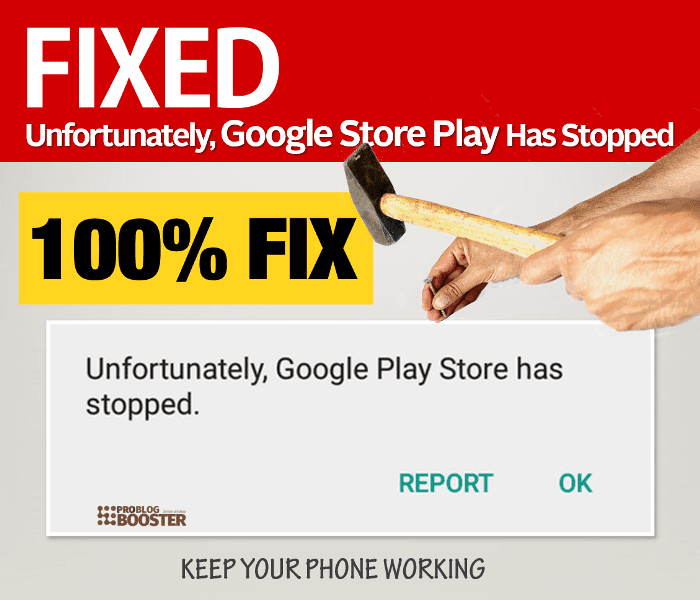 Though the Android OS is one of the most popular mobile operating systems, still the Google store itself sometimes fail to work and triggers pop up message "Unfortunately, Google Store Play has stopped" on the phone screen about every three seconds. The error comes when you try to install an application or update an existing application, or sometimes simply open Play store. Android users ask many questions on Google; How do you fix Unfortunately Google Play Service has stopped? How do I fix Google Play Services has stopped? How do I fix the Google Play store has stopped? Why does my Google Play keep stopping? How do you stop Unfortunately Google Play has stopped? Why does Google Play store stop working? At the initial troubleshooting, I found that the problem is in the updates. I solved this play store error just by uninstalling the recent updates from the Google play services app. All the Google apps then started working normally. But when I went back in and reinstalled the update again and it stopped working again so that shows me it is present in the updates. Moreover, this error is not only triggered by Samsung but also appeared on LG, Android TV Box, Tablets, Sony, etc devices too. Sometimes very outdated version of playstore is present in your Android device. Google playstore cache is being stored on local storage which sometimes prevent store to open. Some have tried by disabling the Google Play Service but the error message keeps appearing. These are few possible reasons behind your Android device throwing such error message while you try to use Google Play Store either for installing the application or for updating existing applications. 5 Ways To Fix "Unfortunately, Google Store Play Has Stopped"
Just Force quite or Kill your already opened Google Play Store. Usually, a simple mobile restart solves this problem. Prompt will be displayed to confirm Reset with message You will not lose any app data. Scroll down and tap on Google Play Store option. Scroll down and tap on Google Services Framework option. Sometimes, we haven't connected to the internet for a long and store fails to get updated to the latest version. So connect the device to say WiFi network and let your Google Playstore itself get updated. You may check the same behavior by connecting your Android device to the different network may be your Wi-Fi network is blocking any of the IP addresses which Google is using.